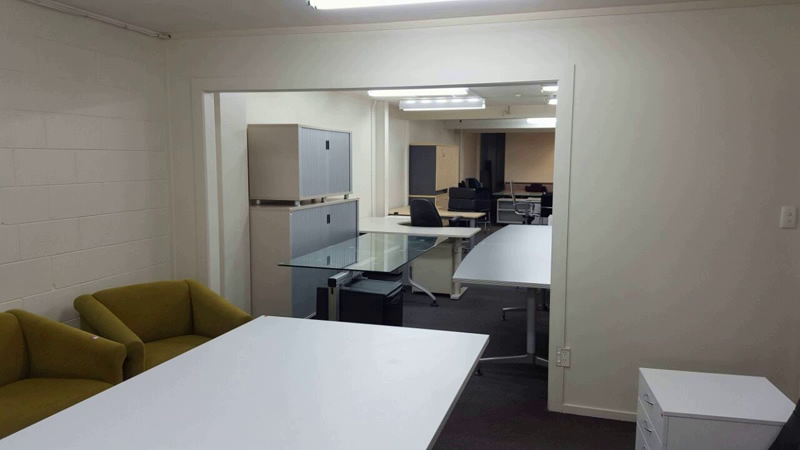 Are you interested in buying used office furniture in Auckland? At ALL OFFICE FURNITURE LTD, We offer a great selection of used office furniture in Auckland. Our clients always ask. Is this new? Well, the answer is mostly no, the justification for this is because the pre-used furniture looks so good that you can’t differentiate which office furniture is brand new and which is second hand. It’s a frequent question customers ask when they visit our showroom in New Lynn, West Auckland. Turn your office into a more convenient, efficient, and productive workplace by adding the right furnishings. You might be setting up a new office or moving to a massive commercial space. We can provide the furniture you need. The picture below shows some of our used office furniture. 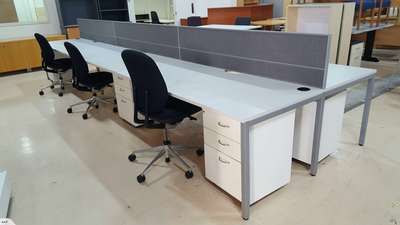 We have been purchasing quality used office furniture in Auckland for the past few years. We buy truckloads of office furniture weekly from small to large companies that are either enhancing their office furniture, relocating, curtailing, consolidating operation or going out of business. Over the years, we have purchased pre-used office furniture from a lot of companies. Therefore, we have a lot of used office furniture, but we don’t just take any office furniture we see. When we get a phone call to check a furniture, we inspect the furniture to make sure it’s quality is intact. We only take in good quality furniture. We have seen so many low-quality office chairs that look good at first sight but not worth buying to resell because we know it will collapse within few months. Our staffs are well-trained to know the quality brands of different office furniture from the finest brands like Herman Miller, Vitra, Formway to cheap quality New Zealand brands like EOS, Europlan, Precision and Damba. With this knowledge, we are able to source only the best products that will serve our customers for years. • A new Grid 2 formway corner office desk will cost you around $2000 - We sell the pre-used version here for around $300. These are high-grade office furniture that was produced to last long. Sometimes, we get that strange anxious look with the “really” comment when we tell our customers the price for the brand new version of the furniture. You don’t need to believe us. You can surf through Google to find out details of these products and compare the price to know which is best for you. If you are looking to buy some office furniture, it is best to do your findings online before you visit any store. This will help you avoid any surprises. ALL OFFICE FURNITURE LTD. is fully based and operated in New Zealand. We don’t just talk reducing carbon footprint. We also practice it by recycling office furniture. You can help our “going green” movement and aid save our planet by purchasing pre-used office furniture. A lot of furniture we sell today would have probably ended up in landfills. 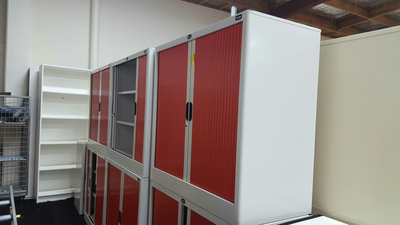 It’s very expensive for companies to store office furniture. The furniture is bulky, heavy and is difficult to lug around and they also take up a lot of space. Office chairs are unhandy to store, and they can’t be stacked on top of each other, making it very problematic to handle. To help you solve this problem, companies pay for the furniture to be thrown away, buried and think their problem is solved. Want a better solution? Let ALL OFFICE FURNITURE LTD. save you money and be environmentally responsible by re-deploying or liquidating your furniture. Buying second-hand chair is just like purchasing shoes or clothes. You have to stick to the leading brand and not allow yourself to be deceived by the look and appearance. There are tons of low-grade office chairs imported into New Zealand every month, and we have seen a lot of people fall victim while trying to purchase cheap nice looking chair. People always show up with their damaged chair to be repaired, and we often dish out same advice to them. It is not worth it because something else will break in a few weeks and they will have to repair it all over again costing them more time, money and energy. If you are looking to buy an office chair, some of the best brands are not too expensive but will save you money over time. Majority of these chairs weigh up to 120kg so if you are heavier than that; we advise you look at other options such as the no gas lift chairs. Some brands we would recommend are spectrum and Graphic range by EOS (Eden office chairs) Damba, Buro, Boston, Ergoform to name a few. You can get this brand with a budget of less than $200, but if you have a little more cash, then it’s better to look for life chair by Formway or a Mirra chair by Herman Miller. The second-hand grade should cost you around $300. Avoid buying chairs online if it’s not from a trustworthy company. The reason being that you cannot know the quality of a chair from pictures as pictures can look so good and similar to the quality chairs but not the same quality. Ask for the best brand and go to the store physically to see the chair yourself. If you can’t see the brand name, look at the bottom and structure of the chair if you are still in doubt. The steel component should look strong; the thicker and bigger the frame under the seat the better. Recently, I saw a chair on a trademe website, and someone claimed their office chair has a 200kgs capacity. I was very annoyed that some people still lied to this extent; I actually believed this deception for a few hours or days, but I wondered how many people fell for that. Low-cost chairs are not all bad news, as long as you know what you are getting yourself into. However, if you are comfortable with buying a new chair every two years, then there is no problem with a cheap chair. Maybe, you are buying it for a kid or someone less than 60kgs. In that case, it’s okay but don’t expect it to last long.